WALTER F. SCHALLER, M.D. ; JEAN OLIVER, M.D. 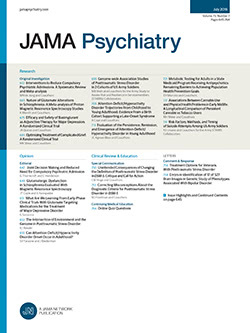 The following report of a case of epidemic encephalitis representing both clinical and anatomic examinations is of particular interest because of the persisting inflammatory brain changes after fourteen months, and also because complaints of abdominal pain, muscle spasm and gastric distress thought to be due to local causes ultimately led to an exploratory laparotomy. This exploration revealed no pathologic condition to account satisfactorily for the abdominal symptoms, and the final analysis of the case explained these symptoms as being due to brain lesions.